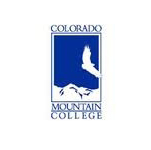 Stevens Strategy performed a review and assessment of Colorado Mountain College’s classified staffing organizational structure with particular emphasis on appropriate staffing levels, consistency of job duties and protocols across its seven campuses, improved coordination between campuses and the central administration, and assessment of the impact of the new Datatel ERP system on classified staff work. Stevens Strategy did an excellent job. Their people, who have great analytical skills and people skills, (heard our)…various opinions/positions and were able to propose solid recommendations. We would hire Stevens Strategy again.